Version 5.1 follows the release of 5.0 and focuses on stabilization. 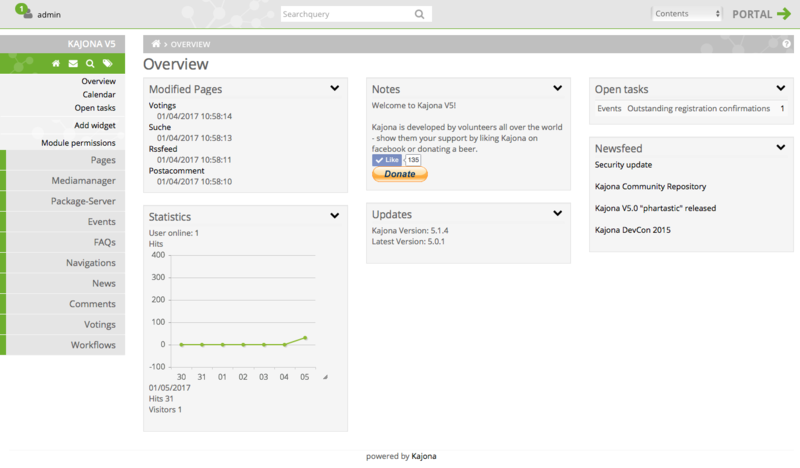 With the release of Kajona 5.1, the Kajona team fixed many bugs filed for Kajona 5.0 and prepares the new base for the future releases. The dashboard now uses a maximum height for widgets. This makes the dashboard more streamlined with a lot of large widgets. In addition, the actions are now hidden behind a chevron to avoid flooding the interface with icons. As soon as a message sent with Kajona is read in a mailreader, the message is marked as read on the Kajona system, too. This keeps the unread message count in sync. The news-element is now able to switch between list and details mode automatically, making a dedicated details page obsolete. The samplecontent was updated accordingly. The changelog now provides a diff-view to compare states between different dates. 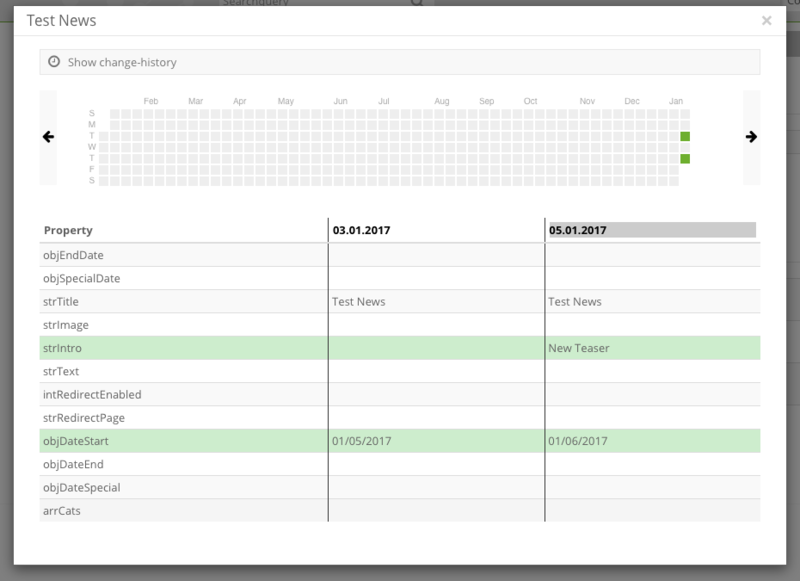 In addition, the number of changes made to an object is visualized in a chart, new objects are added to the changelog starting with an empty set of values. The action() methods from PortalController.php and AdminController.php moved the common base class AbstractController, reducing the amount of duplicate code. The _xmlLoader_ constant is now deprecated, use ResponseObject::getInstance()->getObjEntrypoint()->equals(RequestEntrypointEnum::XML()) instead. The @xml annotation is removed completely since no longer required or processed. The LDAP subsystem was updated to LDAP v3. The framework now returns HTTP 1.1 as http version to re-enable a proper caching and conditional get handling. Due to internal restructuring and new focuses, we removed the guestbook module. The module is now replaced by module postacomment, the installer takes care of migrating all guestbook entries to comments. The modules flash, tagto, tellafriend and userlist are moved to the graveyard repo and therefore are no longer supported. In addition, the samplecontent files are integrated to the relevant modules, making a dedicated samplecontent module obsolete. Due to many of the fundamental changes described above, updating a 5.0 installation using the administrative backend is currently not supported! We created an upgrade-script to simplify and speed up the update process; please have a look at our new update guide. As usual, the whole Kajona team is keen on reading your feedback, suggestions or questions. Feel free to ask for help using our board.